Harpagyl contains proven high levels of Devil's Claw & is formulated by Audevard. In studies, it has been shown to contain almost 7 times as much Harpagoside (the active ingredient in Devil's Claw), as some other competitors products. 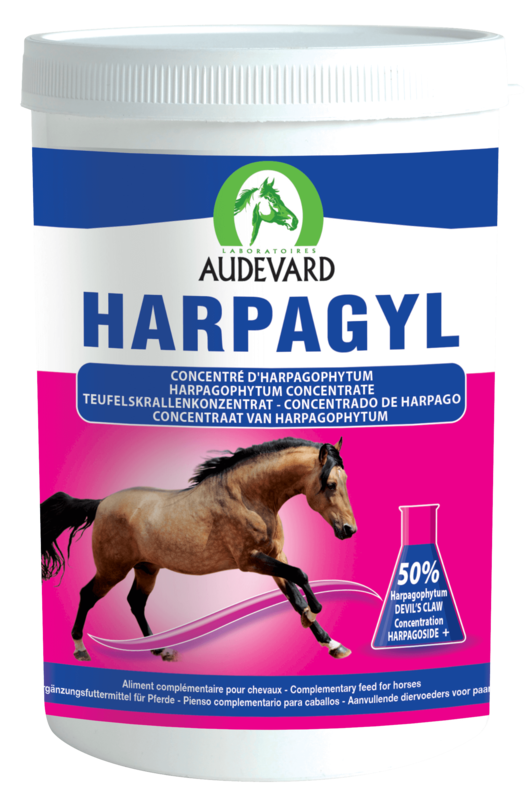 Harpagyl is suitable for stiff horses, or those showing signs of having mobility issues. Ideal for picky eaters, as it has been tested on fussy horses.